Heart and Home Women’s Shelter comes back to UUCPA on February 24, 2019 and will be at UUCPA through April 7. Up to 15 Heart and Home participants will be eating dinner and sleeping at UUCPA during their time here. Setup: Help with set up. The job description is helping carry plates, etc. to set up for dinner, and put supplies out for bag lunches. And…stay for dinner! 6:45 to 8:15. Last year, dinner was usually at 7:30. Laundry: And one last option you will see — picking up laundry to wash and return. 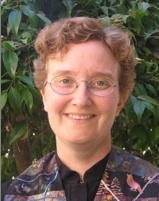 We will adapt the details to UUCPA, and see if we can make this work here. Their online signup is pretty user-friendly. You can sign up here: https://signup.com/Group/11056662780112/ (scroll down a little to see UUCPA openings). 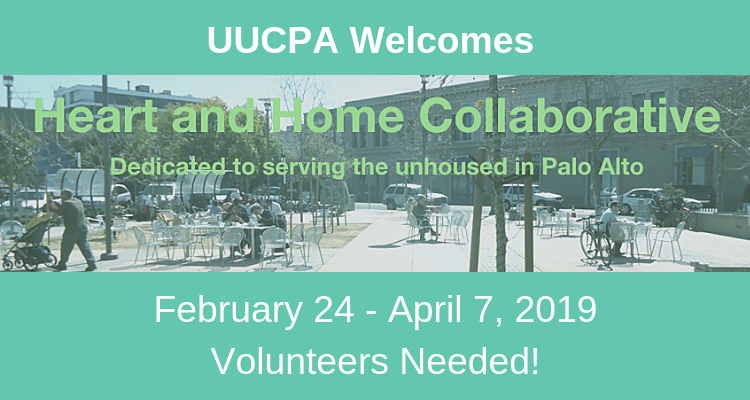 Please sign up so we can share our UUCPA hospitality with our Heart and Home guests!